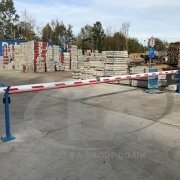 A Group have just completed the installation of an 8.5 meter automatic barrier to securely control the movement of vehicles into the main compound at Britannia Movers International. 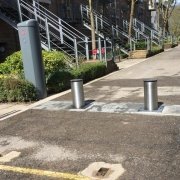 Britannia Movers chose EA Group as their prefered security contractor and opted for the new 6000 XHD automatic barrier which was only released in September 2017. 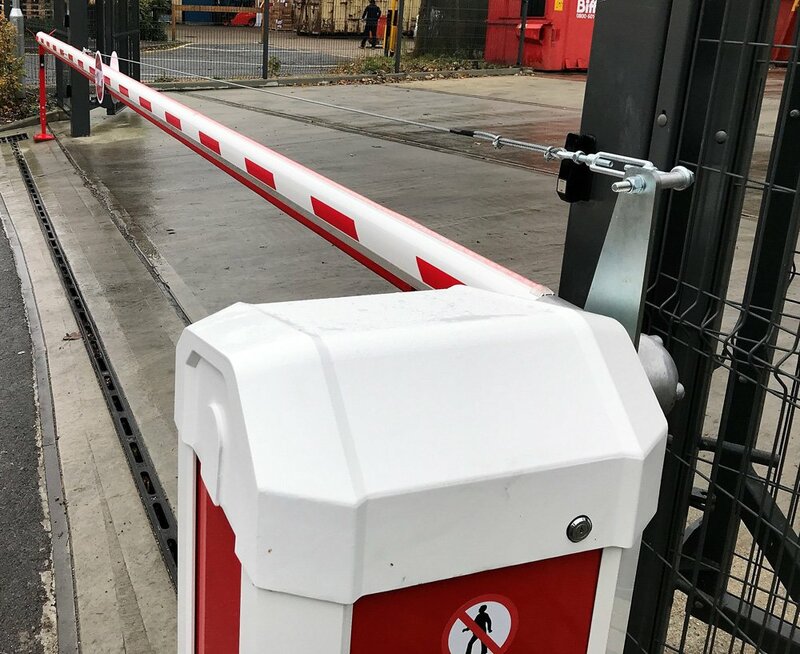 These fully featured and powerful barriers offer beam lengths of up to 9 metres, incorporating an LED strip light that offers a traffic flow red and green function and coloured safety sensing edge. 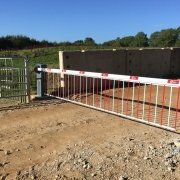 The 6000 XHD automatic barrier, with its renowned reliability, huge range of accessories, and personalised colour options these are proving very popular in today’s security conscious market where longer barriers are required to span wider entrances. This is especially the case with companies such as Britannia Movers International, where security is paramount, however very large trucks are manouvering and space is a premium. 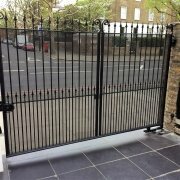 If your premises require extra long automatic security barriers, contact us at EA Group. We have the automated solutions.